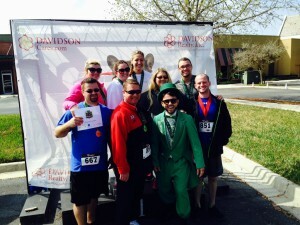 Davidson Cares, the corporate giving program of Davidson Realty, Inc., is preparing to host its Leprechaun Chase 10K/5K and Kid’s Fun Run on Saturday, March 7, in World Golf Village. The race is title sponsored by Charles Schwab. 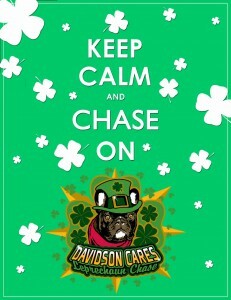 Davidson Cares invites runners, walkers, strollers and dogs to participate in the St. Patrick’s Day themed race, which will include a leprechaun for runners to chase. The race will be chip timed and is open to all ages. Registration for the 10K/5K is $25 through February 22, after which it goes up to $30. Registration for children 16 and younger is $15 through February 22, after which it increases to $20. For most of us, investing in our future is a lot like maintaining a healthy diet: we know we should do it and it certainly benefits us long-term, however most of us have room for improvement! Well, much like a personal nutritionist, Charles Schwab‘s investment professionals provide the personalized help to you need to make smart and healthy decisions with your money. We recently sat down with Jim Gallagher, Manager of the Jacksonville Branch of Charles Schwab, to learn more about the company and how they can help you. I see you’re located in the St. Johns Town Center. How long has your branch been open? We’ve been in the Town Center for almost three years – the branch opened in December 2011. Through my conversations with clients, I’ve seen first-hand how important it is for people to have local access to actionable investing help and guidance that makes sense for their specific financial goals. Schwab has been an advocate for the individual investor since its founding, and our branch is proud to play that role in Jacksonville.